Industrial thin client computers allow for efficient hardware management and virtualization in adverse environments. When combined with ThinManager software all installation, updating and patching can be done from a centralized server. Also available through leading automation resellers and integrators. Ultra-reliable Industrial Thin Client Computers. Our line of industrial-grade small form factor thin clients are perfect for installations that experience high failure rates due to dust, temperature, vibration and other common environmental challenges. 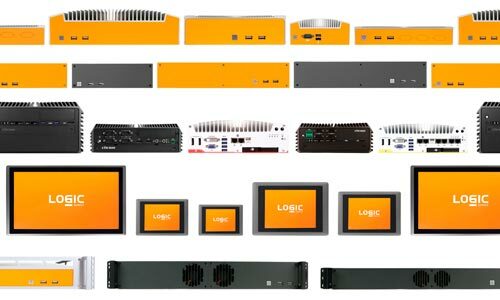 By switching to a Logic Supply fanless and ventless thin client you can reduce downtime and increase throughput while maintaining a low total cost of ownership. Our team of hardware specialists are here to help you select the best thin client for your application.